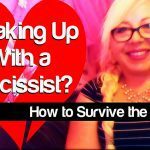 So, you’re breaking up with a narcissist? Or you’re divorcing a toxic husband or wife? First, let me say that I’m sorry you’re going through that – and I know how bad it can get. I’ve been there, and I’m hoping I can help you to get through it with a little more ease than I did. So let’s just start here. This won’t be your standard breakup advice article. There’s plenty of breakup advice online, but most of it is geared toward helping you get your ex back. What if you either don’t want him/her back – or what if know it’s useless because you’ve already recognized that you’re in a toxic relationship with a narcissist? What if you want advice on how to move on as quickly and pain-free as possible? Maybe you’ve read all the standard breakup advice and you don’t see how any of it really applies to you. There’s a reason for that – it’s because narcissists aren’t normal, so breaking up with a narcissist is pretty much a big cluster-truck of messy, painful and confusing. First things first: recognize you don’t need a mate to be happy! Good news – you don’t need to be attached to someone in order to be happy, despite what a lot of love gurus say. All you need is yourself – and in some cases, you need to cleanse your life of the negativity that invades it. Why does it hurt so much when you go no-contact with a narcissist? So, you already know that the relationship was going no where fast, and you know that it’s best to call it quits because if you don’t, the cycle will just continue. Or maybe you’re the one who got dumped. In either case, knowing the truth about the situation can’t take away the pain and loneliness – but in when you use the DUO Method to recover, you have a working plan to help you get through the pain. So first, you’ve got to discover the problem and acknowledge it. Obviously you’ve already done that at this point. So, after discovery, you’ve got to learn to understand the situation better – and here’s where you are now. 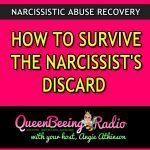 If the person you were involved with is a narcissist, you may be reeling and confused by the constant roller-coaster ride your relationship has become. And now that you’ve been discarded, you can rest assured that, while your narcissist will most likely come back at some point, it’s definitely not going to be worth your trouble to try again. Narcissists are very unlikely to change, if they ever do. And even if they appear to change, it’s generally only in an attempt to get what they want – to manipulate you into coming back to them and being their source of narcissistic supply – the person who keeps the narcissist’s ego lifted up and serves as an emotional dumpster when the narcissist feels a certain amount of narcissistic injury. 1. Focus on those things, and people, that make you feel good and positive about yourself and your life. Think of the things you enjoyed doing before you and your ex were a couple. If your relationship was a long one, remembering a time when you weren’t with him might be a little challenging at first, but you can do it. 2. Focus on making any changes that you’ve been meaning to make. If you’ve been planning on getting in better shape, now is a great time. If you’ve been planning on changing jobs or taking some classes to advance your career… now is the time. 3. Join a support group, such as SPAN, and connect with people who understand what you’re going through. 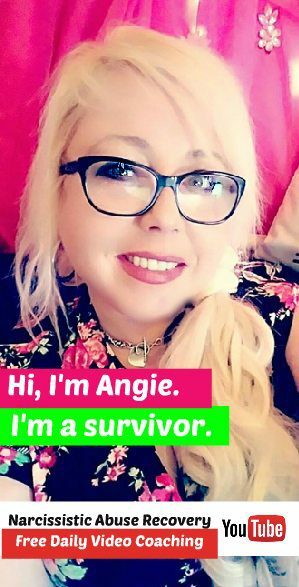 Narcissists cause a very specific type of pain and psychological injury to their victims – and often, the only people who really get it are those who have experienced it. That’s why you should consider joining a support group such as SPAN. These kinds of action steps and activities will allow you to feel hopeful and positive about your future – which will allow you some peace in the short term and may even help you move on more quickly in the long run. Use any and all escape mechanisms you have that make you feel better. It doesn’t matter if it’s eating ice cream or vegging out in front of the t.v., as long as you only focus on positive people and activities you will be able to cope with the pain and loneliness better. But a tip from me to you – limit the amount of time you let yourself grieve. For a long-term marriage type relationship, I wouldn’t go more than a few weeks to mourn – for shorter relationships, I’d cap it out at a week. Tell yourself that you can mope and mourn and do what you need to do, but on the target date, you are no longer allowed to whine about the past and you’ve got to move forward with a more positive and focused attitude. Believe it or not, this really, truly works – just give it a shot. Authenticity is underrated. It’s more than being honest with the world. It’s about being honest with yourself. There are many advantages to being authentic. Most importantly, you’ll no longer feel the need to change your words and actions to impress others. You can relax and be yourself. Before you can be authentic, it’s important to know yourself. This includes your values and goals. 1. Give up the need to appear perfect. Excellent is good enough. But seriously, when you don’t need to appear perfect, you’re in the position to be honest. No one can be perfect and honest at the same time. Avoid putting on a show for the rest of the world. You’ll only feel bad about yourself later. It’s okay to be less than spectacular. Be the best at being yourself. .
2. Know your values and live by them. If you know your values and live by them consistently, you’re already doing well in the authentic department.Make a list of your values and determine the five that are most important to you. Are you living your life according to these values? Would it be obvious to others that you hold these values? Decide to make your decisions based upon your values. Be willing to share your values with others. 4. Know your goals. What do you want out of life? Do you know? Are you willing to let others know? By knowing your goals, you can you live your life accordingly. Make a list of your short-term and long-term goals. How well do they align with your values? 5. What are your defining characteristics? Describe yourself honestly. Now ask yourself if a casual acquaintance would describe you the same way? How about someone that knows you well? How about your closest friend? * How many people know you well? If there aren’t many, ask yourself why. If you’re living authentically, it should be easy for someone to develop an accurate opinion of you. * What are your “negative” characteristics? Are you impatient or messy? Are you willing to allow others to see these characteristics or do you attempt to hide them? 6. Tell the truth. If you’re being authentic, why would you need to lie? This pertains especially to anything you say about yourself. Admit your mistakes, weaknesses, and frailties. Share your opinions honestly and freely. 7. Simplify your life. Get rid of everything that’s extraneous. What you choose to keep will be representative of your preferences and your true self. Find your true essence by stripping away the non-essential. Start with the clothes you never wear, the things you never use, and the activities you don’t enjoy. Only keep the things that mean the most to you. 8. Do what you say you’ll do. Keep your word and follow through on your promises. You’ll feel more congruent, and others will view you as more congruent. When your words and actions match, you’re demonstrating authenticity. Life becomes easier when you’re living authentically. You’ll no longer feel the exhaustion that comes with constantly changing your opinions, attitudes, and personality to please others. You’ll no longer feel the need to protect yourself from others. Be authentic with your thoughts, words, and actions. Invest the time in yourself and learn to be free. 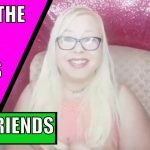 So what do you think about all of this breaking up with a narcissist stuff? Share your thoughts and experiences in the comments section, below, and let’s discuss it.